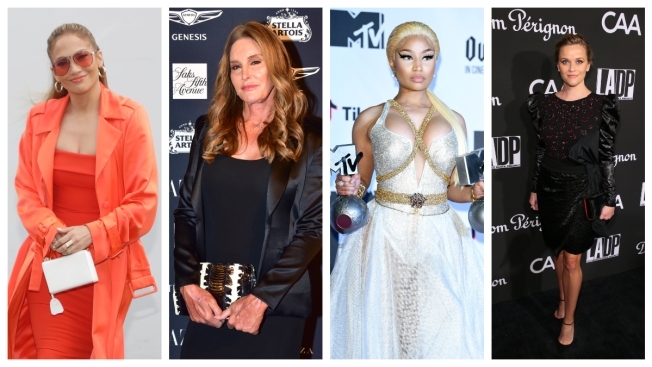 Jennifer Lopez, Caitlyn Jenner, Nicki Minaj and Reese Witherspoon are among the many celebrities having fun with the 10-year challenge. Celebrities... they don't age like us. Need proof? Well, a host of celebrities have gone to social media to partake in the viral #10YearChallenge where you post side by side pics of yourself today versus a decade ago. Some of the stars, Reese Witherspoon, Kate Beckinsale and others, look like they've barely aged a day. Others, among them Caitlyn Jenner, took an opportunity to joke about how much they've dramatically changed in the past decade. Meanwhile, Mariah Carey simply refused to acknowledge the passing time altogether. Me after a sip of coconut water ����1999/2019.... not quite the #10yearchallenge. More like the #20yearchallenge! But, take some small measure of comfort in that many of the stars posted glam shots of themselves a decade later. So imagine a bit of work may have gone into the final product.